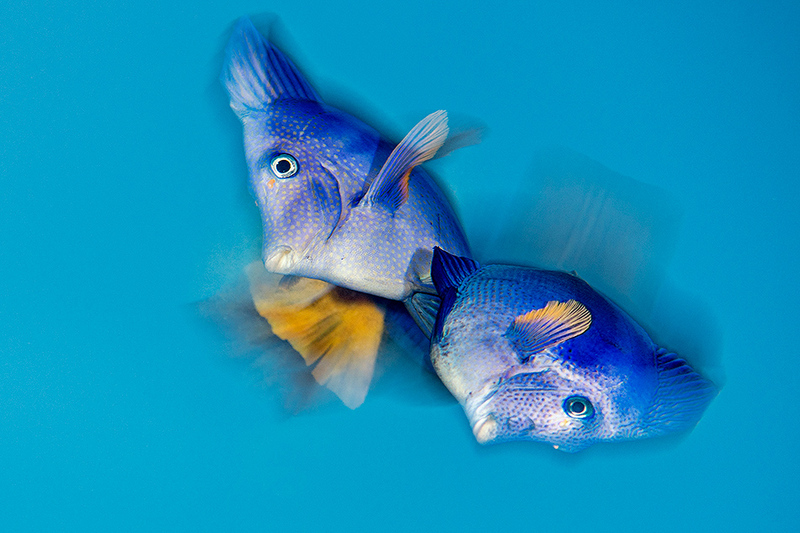 The moment of spawning when a male yellowtail tang (yellowtail surgeonfish: Zebrasoma xanthurum, top) and a female turn belly to belly to ensure fertilization at the peak of their spawning rise. This action is very fast – to be honest I just pressed the button and got lucky to catch this precise moment. Their movement has also created blur, even though this is not a long exposure. Location: Sharm El Sheikh, Sinai, Egypt. Red Sea.